Copyright 2002, 2005 by James E. Lancaster, Ph.D.
Notice:The images - photographs, drawings, maps and track diagrams - presented in this web site are the property of the respective contributors and may not be used for any purpose without permission. For more information see Photo Credits and Restrictions. The web site contains a large number of images. Some are displayed inline with the text. However, to control the loading time, the remaining images are viewed by clicking on the related link, e.g., (Photo-JL), (Drawing-HH), etc. Please note that the images that open via these links appear in a separate web browser window. 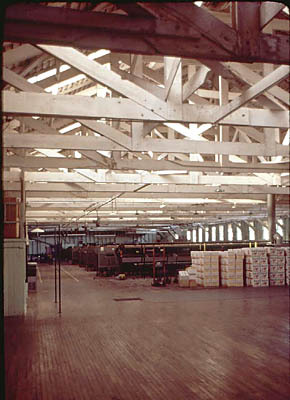 The Villa Park Orchards Association packing house was originally located at Wanda on the SP's Tustin Branch. The association was established in1912, when 48 local fruit growers organized to harvest, pack, and market their fruit. The organization was incorporated in 1913. John Signor photos, used by permision. Ed Workman has provided a black and white photo of the Villa Park Orchards Association packing house (Photo-EW) and Cliff Prather has provided a photo of an SP local switching the packing house in June 1971 (Photo-CP). 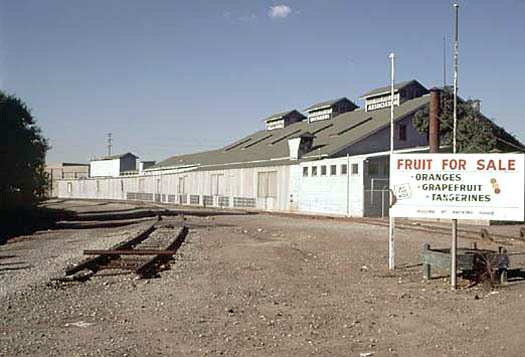 A second packing house, located at the former Santiago Orange Growers Association in Orange, CA, was acquired around 1970 to handle the overflow of fruit from the Villa Park packing house. However, by 1981 the Villa Park packing house had been vacated and sold and the Villa Park Orchards Association operations moved solely to the former Santiago packing house in Orange. To tour other Orange County cities, or other counties, return to the Virtual Tour of Orange County Page. Return to the Historic Packing Houses and Other Industrial Structures in Southern California Home Page. Return to the Trains Page.